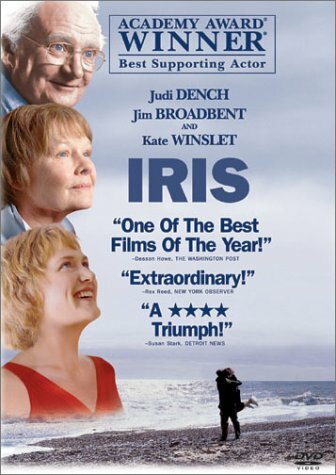 Synopsis: True story of the lifelong romance between novelist Iris Murdoch and her husband John Bayley, from their student days through her battle with Alzheimer’s disease. Did You Know? This was only the second film to have two actors be nominated for Academy Awards for playing the same character in the same film, the other being Titanic. In both films, Kate Winslet played the younger version of the dual-nominee role. This film really is a heartbreaking tragedy. John tries desperately to remain optimistic, even when Iris plunges deeper into the abyss of her Alzheimer’s, even when the doctors callously tell him that she will succumb: her mind will dissolve into nothingness, she will become an empty body, and then her body will die. My grandfather recently passed away from dementia. It struck him out of nowhere and then advanced rapidly. He had always been sharp as a tack and read anything he could get his hands on. The last time I saw him (less than a year before he passed), he barely recognised me and he kept asking my aunt where she had gotten her elephant painting. All I did was laugh, because I didn’t know what else to do. It was devastating to see him in that state. Watching a loved one be consumed by a disease that there is no stopping is one of the worst possible things there is in this world.